As a young man, Nicholas Ferrar was a successful merchant, academic and an MP, but he gave up his diverse careers to found a religious community of prayer. A century after Henry VIII seized Church properties and dissolved the monasteries, he become the guiding light of a remarkable practice in Anglican spirituality. Nicholas was born in 1593 into a family heavily involved in commercial trading overseas. Francis Drake and Walter Raleigh were visitors to the family home. He studied at Cambridge University entering Clare Hall, now Clare College, at the age of 13. He was elected a Fellow in 1610. However, he found the damp Fenland air bad for his health and travelled to Europe, where he investigated the Anabaptists in Holland, and studied medicine in Italy. Meanwhile the family business was faring badly. Nicholas returned to England in 1618 and successfully saved the firm from ruin. He also served in Parliament for a short time until 1625. But at 32 years old, Ferrar was drawn to a more spiritual way of life. He resolved to form a religious community and was ordained Deacon. He discovered and bought the derelict manor house at Little Gidding in Huntingdonshire, now Cambridgeshire – a few miles from the Great North Road. Together with his widowed mother Mary, brother John, and their extended family and household, he set up a religious community of about thirty people – the only religious community in the Church of England between the Dissolution of the Monasteries under Henry VIII and the revival of religious communities that came with the Oxford Movement. 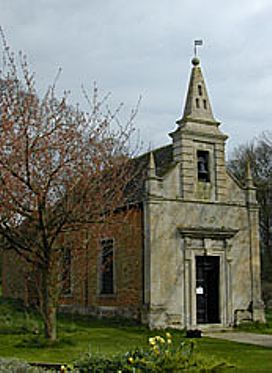 The village of Little Gidding had been almost deserted since the Black Death in the 14th century. Nicholas Ferrar’s community set to work restoring the house and other buildings including the little chapel which was being used as a hay barn. His mother set to work organising the restoration and cleaning of the chapel for worship before any attention was paid to the house. The family held regular services and adopted a stoical communal life of poverty, prayer and fasting. They looked after the well-being of people in the neighbourhood, teaching the local children, founding an infirmary and taking in poor widows. Each day they read the regular daily offices of the Book of Common Prayer and recited the complete Psalter. The community, which lasted twenty years, attracted a great deal of attention. King Charles I visited them several times. He was fascinated by a gospel harmony they had produced, and asked to borrow it, returning it several months later to exchange it for a new harmony for his son, the future Charles II. The beautifully produced manuscript book is now in the British Library. Another friend was the the priest-poet George Herbert who cared for the neighbouring parish of Leighton Bromswold before moving to Wiltshire. 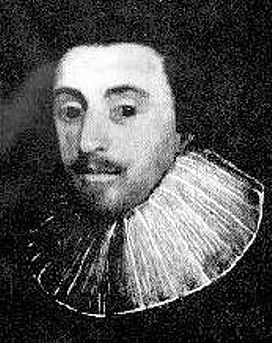 Nicholas Ferrar never married. He died on 4 December 1637 and his tomb still stands outside the west door of the little church. His brother John and sister Susannah continued to run the community. But Huntingdonshire was Cromwellian country and the Puritans had become suspicious of the community’s practices which they regarded as being too Rome-like. In 1646, the Puritans forced the community to disband and all Ferrar’s writings were burned. Today, only the beautiful little church, with its Jacobean stalls, remains to remind us of this important experiment in Anglican spirituality.